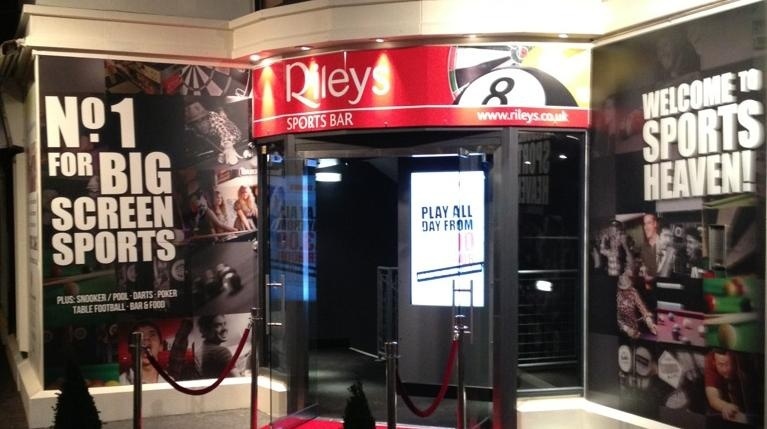 Rileys, the UK’s largest chain of sports bars are currently in the process of upgrading all their pool and snooker tables to use highest quality cloth and balls to give their customers that professional experience. The Cuesports themed sports bars now select Strachan cloth and Aramith balls in all of their venues. The man responsible for this decision at Rileys, Ian Huett said, “Too many clubs have taken the low cost route in the tough economic times, seeing cost savings in cheaper equipment. This is absolutely the wrong decision. By upgrading to the finest conditions you attract the better players and leagues at the same time as getting superior product life”. Strachan cloth and Aramith balls have been used at all professional ranking snooker events including the World Championships at Sheffield for over 30 years and 20 years respectively. Huett stated: “The high quality playing conditions provided at our bars and clubs will be the best in the world. This will be a key factor in the rising standard of play as we push to develop and grow UK Cuesports”. Strachan cloth, Aramith balls, darts and a complete range of spares and accessories are being supplied to Rileys by Suzo-Happ Group. Suzo-Happ, who are famous for supplying the UK coin op market with spares, now act as UK distributors for many premium Cuesports brands. Suzo-Happ Regional Sales Manager, Matt Harris added: “Highest quality equipment such as cloth and balls are vitally important to the success of the modern club. Precision, speed and control are vital to players and this is guaranteed with Strachan cloth and Aramith balls”. “Many clubs have not survived the recent recession but the ones that have are usually the better clubs that use premium cloth and balls, this is what attracts the players and keeps the tables in use”. “Professional equipment need not cost the earth” said Harris, “We aim to put together packages tailored to a club’s needs that both saves money and upgrades conditions”. Riley clubs are now well positioned as the premium UK Cuesports venues offering the atmosphere of a stylish, modern sports bar with professional standard tables.